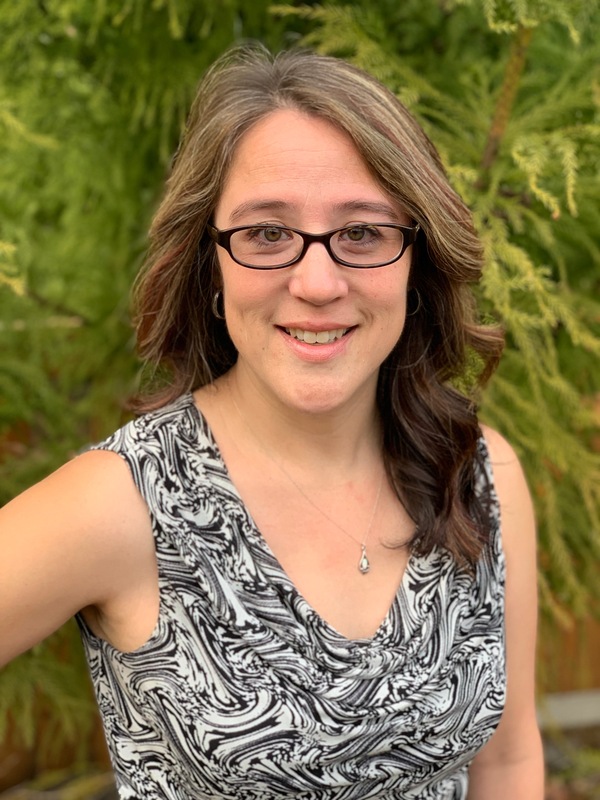 Jennifer Gilbert-Smith, managing the real estate details, so you don't have to! Ahhhh, fall – the air turns crisp and cool, yellow patches of leaves appear to take over the treetops and you’re prepped for sweater weather. But, is your home ready for the season? Whether you do the dirty work yourself or hire out, RE/MAX put together a checklist to help you tackle fall home preps that can make a big difference of how your home handles the season. Get your mind in the gutter. If you’re not on top of clogged gutters, you’re just asking for water damage. Water with nowhere to go can lead to exterior and foundational damage and maybe even a flooded basement. It’s a dirty job, but you can do it-or hire it out. Check the chimney. While you’re up on the roof and the weather’s still calm-check your chimney for damage. Search for loose or broken joints and if the flue cap is still in place. Now’s the time to also attend to any damaged roof shingles or flashing. Let’s get physical. Once the temperatures begin to drop, you’ll crank up that furnace and put it through quite a workout. Make sure it’s ready to handle the workload by replacing the filter and keep all the vents open so heat can circulate throughout your home. Turn off outdoor plumbing. Blow out sprinkler systems, drain outdoor faucets and cover them to protect them from the freezing weather to come. Clean outdoor furniture and gardening tools. 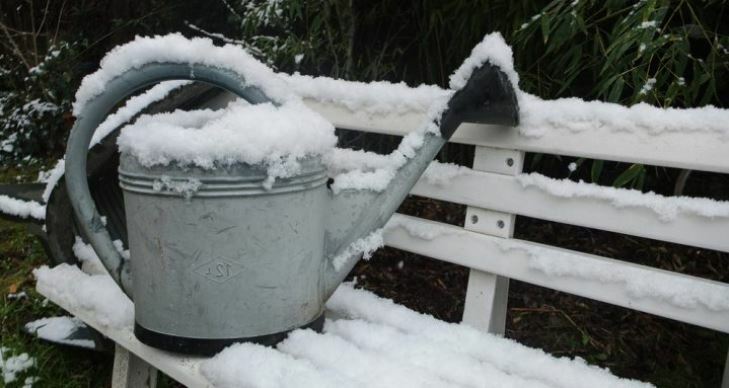 Don’t let the harsh fall and winter weather get to your outdoor furniture and garden gadgets. Give them a quick clean up so they are ready for storage over the winter. Stay safe out there. Fall is as good reminder to perform an annual check of the safety features in your home. Make sure the smoke and carbon monoxide detectors get fresh batteries, check the fire extinguisher or replace if it’s six years or older and take this chance to update or practice your fire escape plans. Pre-plan for spring-blooms. Fall is the perfect time to plant bulbs for a big pay off in the spring. Set your sights on a spot in your yard that gets full sun and get digging. Looking for that perfect home where you’re in charge of home preps and maintenance? Contact me; I’ll be happy to help make your dream of owning your own home a reality! There are many ways that you can instantly increase your home’s curb appeal without breaking the bank. Consider ways that you can help your home for little to no cost. Doing any of the above tips can help boost your home’s resale value. The cost to maintain a home is something financial experts recommend budgeting for early on, in preparation for choosing which house to buy. 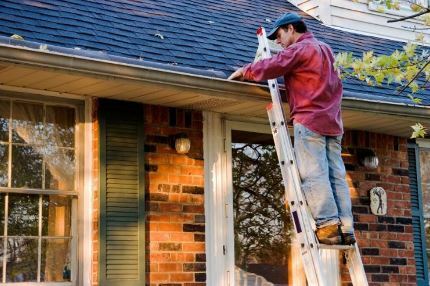 On average, homeowners spend 1 percent of their overall home cost in maintenance every year, according to a new study by Porch.com. The upkeep costs can vary based on style, age, type, and even location of the home. 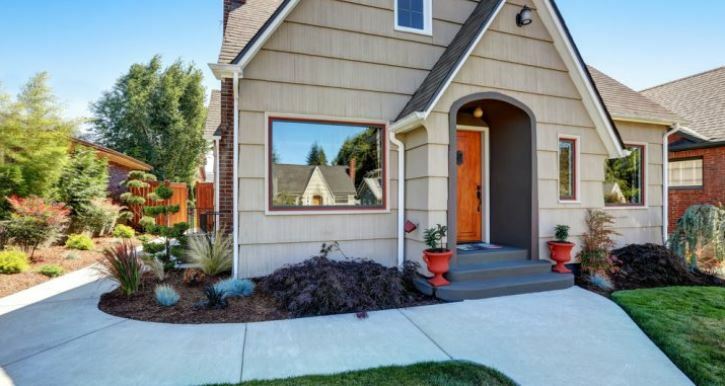 The average cost to maintaining a home each year is about $16,000, according to Porch.com’s analysis. Where does all that money go? A few chores that routinely pop up on a homeowner’s to-do list include pool keeping, lawn maintenance, and repairs and replacements of appliances. Read the article on REALTOR Magazine to see the estimated frequency of maintaining certain aspects of the home, and the average costs. If you’re like most people, your home maintenance to-do list is so long, plenty of chores regularly fall off it and into the abyss, never to be remembered. With so much house and so little time, that’s understandable. Hey, you’re only human! Still, though: Out of sight and out of mind does not mean it’s OK. Ignore certain chores, and they can come back and haunt you in a variety of unpleasant ways, from bigger electric bills to foundation problems and beyond. And the truly silly part is that these duties don’t take that long to address … as long as you nip them in the bud before little chores become huge problems, after years of neglect. Longer days and blossoming flowers of spring mean that it is time to prepare your lawn to spend more time outdoors! 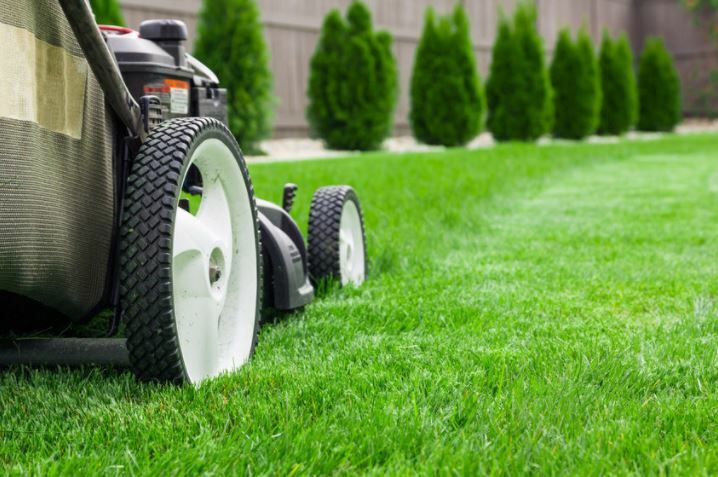 These lawn care tips can ensure that your lawn is lush and ready to go for the season and into the heat of summer. Dethatch to rid your lawn of dying or dead grass. Lawns do well with less than a ½ inch of thatch, but will begin to suffocate if there’s too much. A sturdy rake is often all you need to get the job done, but if you have a large yard or a lot debris (more than 1 inch of thatch), consider using a power rake. Dethatching can be rough on your lawn so make sure to do it in early spring to allow the grass to recover properly. Winters can be tough on lawns, and grass seeds don’t always survive the winter season. If you see thin or bare spots that were created by winter storms, you’ll need to replant. Simply loosen up the soil with a rake and sprinkle grass seed to the affected area. Be sure to water the area regularly to make sure that the seedlings take to the ground. Also, be sure to clear your lawn of any winter debris or fallen limbs that may hinder grass growth. It’s time to break out the mower. Just don’t wait too long. Letting the grass grow too long can cause stress and potentially damage the grass seed. On the other hand, you shouldn’t cut the grass too short; grass seed does best when a mow takes no more than 1/3 of the total grass height off. If you aren’t sure what height to mow at, consider doing a first mow at a higher cut level to get a good feel for what length your lawn would do best at. Check the suggested mowing heights for the grass seed in your lawn as they differ. Grass grows better in soil that isn’t compacted down. Aerating your lawn loosens up the dirt and provides air and room for necessary nutrients to deeply penetrate the soil. There are many different tools on the market to help you aerate, the most popular one is the gas-powered aeration tool that leaves small tubes of soil all around the lawn. For smaller lawns, you can use manual push aerators or even aeration shoes that attach to your footwear. If you choose to aerate, be sure to do so in late spring so your lawn can heal before the arrival of summer. Some of these measures, like aeration and dethatching take a bit of effort, but they’re well worth it in creating a lush, green lawn. Spring is the best time to prepare your lawn for a vibrant growing season. With a little bit of extra care this time of year your lush lawn will be ready for outdoor living. The internet offers so many resources, it’s hard to know where to begin: endless images for inspiration and even step-by-step how-to videos to walk you through projects. Here are our favorite places to get started. The experts here have been helping people clean up their acts in one form or another since 1885, so you can be sure they know their stuff. The site features everything from recipes for DIY household cleaners to answers to age-old questions like: Does microwaving your kitchen sponge kill the germs on it? 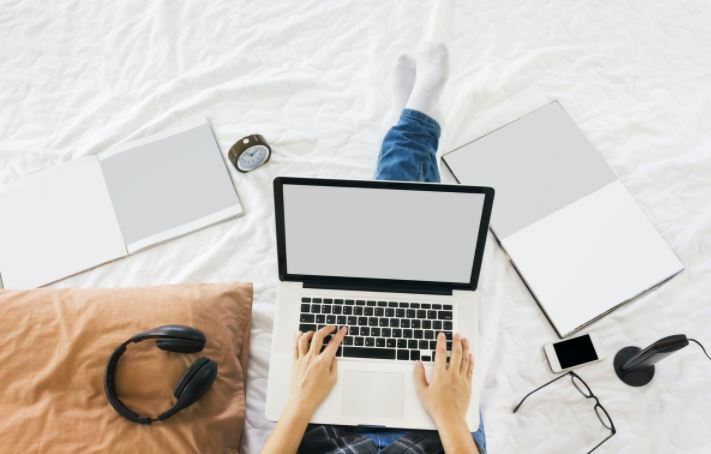 While this site’s main focus is matching homeowners with professional service providers, it offers a handy library of articles about cleaning, including not-so-stainless stainless steel appliances and hard-to-reach windows. With a highly searchable index of over 11 million photos of professionally designed homes, this site provides inspiration and nuts-and-bolts practical design advice. Want to know how a dark-colored hardwood floor will look with stainless steel appliances? Search and browse tons of examples. Whether you live in a house or a high rise, you’ll find nifty décor tips and inspiration to make your home more beautiful and livable. If you’re having trouble envisioning how things will look in your space, choose from a variety of free virtual room-planning apps to help you design room layouts, choose appropriate furniture sizes and even see what different paint shades will look like on your walls. A resource from Garden Design magazine, this site offers instruction on landscape design principles in addition to inspirational pics and solutions, so you can begin developing an understanding of outdoor aesthetics before you start buying and digging. Here you’ll find a massive wealth of information about how to fix, renovate and maintain nearly everything home-related along with tons of videos (of course) that show you how it’s done. The Family Handyman experts have been helping homeowners DIY since before the Property Brothers were born. Their website offers practical advice and step-by-step instructions and videos to help you do everything from fix a running toilet to install a dimmer switch.